I was heavily involved in the trial through which the local branches of the international nicotine cartel attempted to obtain the abrogation of the tobacco control legislation adopted by the Parliament of Canada in 1988. In a decision rendered in the fall of 1995, the Supreme Court of Canada did strike down some components of this tobacco control act, components that have been replaced by a new law, in 1997. This new law is also legally challenged by the cartel and this new trial is to begin next January 14. Again, I am part of the team that will defend the act in court. 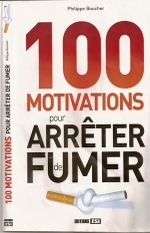 With many health researchers of Quebec, I am trying to set up a research network," l'UnitÈ quÈbÈcoise de recherche sur le tabagisme" which will try very hard to accomplish half as much as what the Ontario Tobacco Research Unit has done for the progress of tobacco control in Canada. Q1. When and why did you think about offering on line a university course about tobacco? Are you aware of other universities proposing such a class? Is the University of Laval offering a traditional course in tobacco control? Q2. How is the course organized? Are all the texts available on a web site? Do you need a special equipment to access the info? You mentioned the production of a cd-rom, can you explain it's content and it's use? How are the students interacting with the professors? Do they have to produce reports? Are there quizzes, exams? Fernand Turcotte: The course is a regular graduate course of 3 credits which means that it requires about 135 hours of studies. It is built on the use of many different types of media; readings both of printed material and pdf documents available on the site of the course, a cd rom with interviews, a forum, a chat and the use of other URLs on the net. 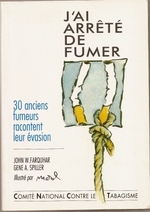 Most of the texts are available on line and Rob Cunningham's book, La guerre du tabac, which is the first required reading of the course, is accessible at the Globalink site. No special equipment is required but a recent browser, Acrobat Reader, QuickTime and a cd-rom player. On the cd we produced there are 3 interviews with guests who are specialists in political processes (Dr Jean Rochon), community programs among the youth (Mario Champagne) and community organization (François Damphousse of the Non-smokers Rights Association). The more bulky reports are also on this cd. The students keep in touch with the teachers via an email system which is integrated to the platform the course is built on. I will answer all messages twice a week . They don't have to produce reports but they have to attend the forum once a week, where I put assignments. Each student has to pay a visit and to react to the material that I have left there. Their reactions are subject to comments by others attending the forum. What goes on the forum is graded and these grades account for 60% of the final grading of the course. L'Université Laval makes it necessary for students attending courses dispensed on the web, to be evaluated with an examination which has to be written in person, in front of a certified officer residing in the vicinity of the place of residence of students. This regulation applies to all students whether they live in Quebec, Canada or abroad. Q3. You state that tobacco control experts will be part of the curriculum. Can you give us more information about them? How are they going to intervene? Fernand Turcotte: I have already identified them. They have been asked to introduce some specific aspects of tobacco control that can't be found in any textbook. Over the years, I would like to double the number of experts, which implies adding to the number of cd's, students will have to use. Basically, these guest speakers have been filmed while responding to a list of written questions I had provided in advance. Each has been recorded for about an hour. Afterwards, their talk has been broken in segments of 2 to 3 minutes, accessible by links made with some of the themes of their presentation. The student can go directly back to the talk without having to review the full length of the conference and answer the questions that are put to them in the program. Q4. The tobacco control field is somehow dominated by the English language. Are you using material in English? Did you find it difficult to find relevant material in French? Is the class mostly focused on Quebec? Canada or is it more global and international with eventually a special emphasis on French speaking countries? Fernand Turcotte: We are using quite a lot of material in English, but we have been translating a substantial part of it. That part is included in the compulsory readings. French is the official language of Université Laval and while there is usual use of English material in the classroom, one cannot have the same policy for lectures on the web. When a French version of a text is not available, the reading is recommended rather than required. Actually, it has been less difficult than I had anticipated to find material in French. Subsequent editions of the course will be considerably richer in original French material. While the course draws heavily on the Quebec and Canadian experience, the focus is global and of relevance to anyone concerned with TC. We train quite a few graduate students from developing countries and it is in part, to better support them when they engage in TC that this course has been set up. And the emphasis is on French speaking countries. Considerable experience has been gained in Quebec in the last decade, a region which is no longer being considered to be the smoking room of Canada! Extensive use is made of this experience. Q5. The course is a 3 credits class. How much does it cost? How long does it last? Could other classes be eventually offered by the University tobacco control unit? Fernand Turcotte: The course lasts a term, one trimester, or 15 weeks. The cost varies according to the site of residence of the students as it does for all university programs. It is US$ 129 if you are from Quebec and otherwise US$ 573 (see http://www.ulaval.ca/dgfc/distance/index.html > ModalitÈs d'inscription > Frais d'inscription). The University does not have a tobacco control unit. Depending on the type of response this initiative has, I would forecast that some form of undergraduate teaching in TC could be provided rapidly as well as continuing education on the same topic. Fernand Turcotte: There are already sufficient registered students to launch the course next month. While this first edition is beyond my wildest dreams, I am sure that a first experience will bring numerous improvements to the content of the course. And I hope, this course will attract students from all kinds of professions because the diversity of talents is a critical factor for ridding mankind of nicotine addiction. If there are potential participants who can't get access either because it is a graduate course, or because it is too long or ill adjusted to their needs, I would appreciate to hear from them, so that we can see how their specific needs can be met. Many thanks for this opportunity to introduce this initiative. Thank you Fernand for taking the time to be with us today.